Fall is here and it is absolutely gorgeous outside. The fall colors are amazing. It's going to be a great weekend! Tomorrow is my 23rd wedding anniversary. So, of course, I have made an anniversary card for my DH. Not the typical mushy type, my DH doesn't go in for that. Since my husband is always doing some sort of project, I thought this stamp from Unity was a good choice. I colored the image with Copics and Spicas and then fussy cut it out. Unfortunately, my Alex Guy set was missing the "my guy" stamp that I planned to use (Unity is sending me one), I found this stamp from Impression Obsession in my stash. 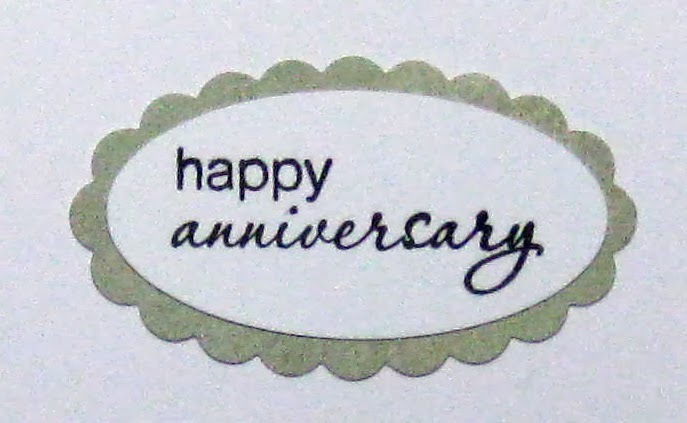 I put "Happy Anniversary" on the inside of the card. I made a step card base and used Archaic dp from Basic Grey. This is perfect! He will love it--I love it! LOve the stamp and I just love all the flips and folds. Haven't had the gumption to do that yet--this is a wonderful card. He will cherish it...I know it! Love it! Fab male card and I love the papers! So glad you joined us for our Way to Go Challenge at Cards for Men! Beautiful card! Thanks for joining the Stampotique DC. Great folds and a great masculine card, Kathleen! Love your super bright colors, too! 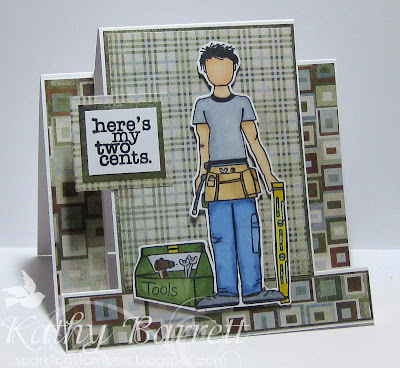 I always find making "guy cards" tricky, so I love seeing new ideas for them! This is a great one! Thanks so much for playing along with us at Stampotique! Fabulous card, Kathy, perfect for your handyman husband!